We’ve also been spending some time in the water polishing skill demonstrations and practising rescue demonstrations. After a couple of skill circuits, the candidates are all already very competent in this important aspect of dive instruction. More time is due to be spent in the water tomorrow morning too. We will be again practising the rescues, as well as looking at positioning for working with students. This will help focus the instructor candidates on control and safety, and be of a huge help to them when they eventually start teaching for real…. Thresher Shark Divers’ final PADI IDC of 2011 has finished with yet another very happy PADI Open Water Scuba Instructor !! Ryan flew into Malapascua Island a couple of weeks ago as a PADI Divemaster, and has now flown back to Qatar as a very happy PADI Instructor eager to find his first students !! There are a couple of PADI Specialty instructor ratings that are also available to PADI Divemasters. Divemasters can also become qualified to teach the Digital Underwater Photography specialty and the Emergency Oxygen Provider specialty. If you’re a Divemaster thinking of becoming an instructor in the future and are curious about teaching, then this is a great way to gain some great experience of working with students before completing a PADI Instructor Development Course. The Project AWARE Foundation is a growing movement of scuba divers protecting the ocean planet – one dive at a time. With new programmes and more online resources than ever before, Project AWARE supports an unprecedented global movement of divers acting in their own communities to protect oceans and implement lasting change. Project AWARE are now focusing on two major ocean issues – Sharks In Peril and Marine Debris. The shark campaign is trying to secure shark protection worldwide. Unfortunately, there are some species of sharks that are on the brink of extinction and without action the shark population will continue to be decimated. There is currently a petition, which will put pressure on governments, particularly in countries that matter, to enforce policies to protect the shark population. Project AWARE are kick-starting the new year-round Dive Against Debris programme with a Debris Month Of Action! Throughout the month of September, Project AWARE divers around the world will mobilise to collect rubbish and log what they find on the Project AWARE website. This data will help to inform researchers of the debris issues facing the ocean. With a more accurate picture of what’s happening in our ocean, we can begin to make better decisions around waste management and the policies that affect ocean life. Thresher Shark Divers will ‘Dive Against Debris’ throughout the month at all of Malapascua’s dive sites. As part of TSD’s commitment to protecting the ocean, trained divers not only remove underwater debris such as plastic bottles, fishing line, but also identify and document everything we see underwater and report the data to Project AWARE. Scuba divers are uniquely positioned to tackle the global marine debris issue, to take action every day and prevent debris from entering the ocean. For more information visit www.projectaware.org. Thresher Shark Divers, on beautiful Malapascua Island in the Philippines, still has spaces on the PADI Instructor Development Course (IDC) scheduled to start on 11th October 2011. Our dedicated IDC team of experienced PADI Professionals will be there to support you from the moment you arrive at Thresher Shark Divers to the moment you leave. Our PADI Instructor Courses have been developed to make our candidates well-rounded PADI Instructors who can work anywhere in the world. 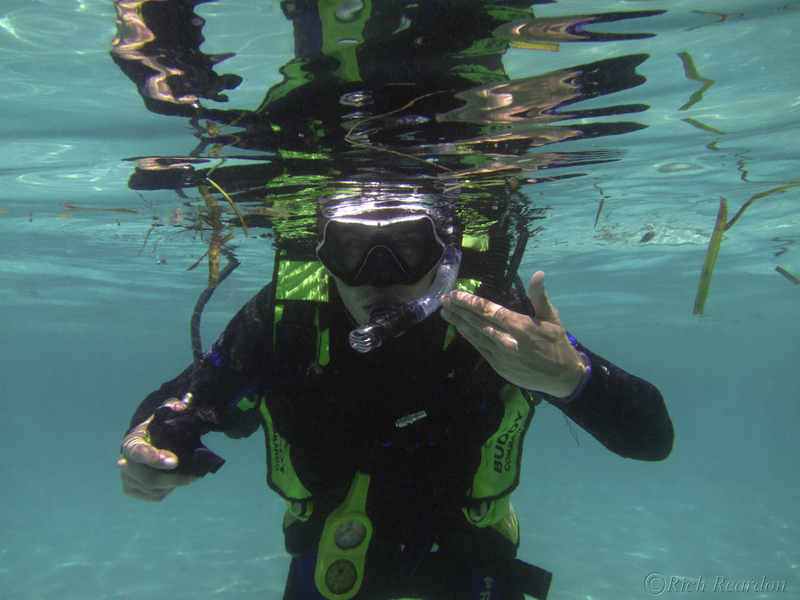 Upon successful completion of the PADI Instructor Exam (IE) you will be a certified PADI Open Water Scuba Instructor! So what are you waiting for ? Come and join us….